Whenever you shop at DeClark's either in person or by phone, be sure to use your Hallmark Gold Crown Card to earn points for all your purchases at DeClark's. These points become valuable gift certificates sent directly to you by Hallmark four times a year. They may be used toward any full-priced purchase of Hallmark products including Keepsake Ornaments. 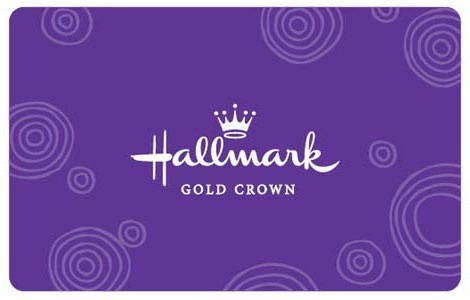 If you don't have a Hallmark Gold Crown Card, please ask us to sign you up on your next purchase - it's FREE! The “Preferred Customer” status is our way of rewarding exceptional customers with exceptional savings and extras! 15% discount on regular priced merchandise. This discount cannot be used in combination with any other discounts and may not be used on sale or clearance merchandise. Purchase any Hallmark promotional item without qualifying items. You must use your Hallmark Gold Crown Card at DeClark’s each time you visit and make a purchase to become and/or maintain your status as a “Preferred Customer” at DeClark’s. Purchase a total of $1000.00 or more during the calendar year and you will qualify for “Preferred Customer” status. 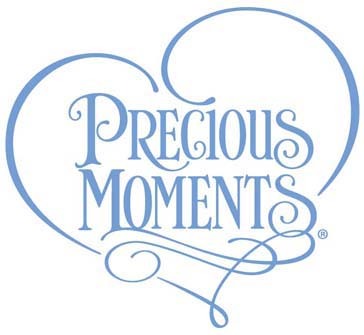 Here's Your Chance To Become A Member Of A Great Precious Moments Local Club Chapter! Please join us for our next club chapter meeting. Over 100 Members And Growing! Call for a membership application today. The $12.00 annual fee includes a cool membership pin plus many other special benefits. Please Note: If you have any specific questions about Club Chapter policies, meetings, newsletters, membership status, etc, please direct all questions to the Club Chapter President, Debbi Halliday, at lcscomclub@sbcglobal.net. The Queen City Villagers was formed in 1991 to foster friendship and promote the sharing of knowledge among collectors of the Department 56 Villages and Snow Babies. We meet every month except January, June and July. In January members open up their homes for our annual "Home Tour" so members can view their displays. We also have a picnic in the summer and a Christmas party in December. Each meeting focuses on a different topic related to displaying a village. Topics have included making mountains, water effects, trees, laying out your village, backdrops, vignettes and centerpieces, Halloween, electrical solutions, new releases and much more. Our annual display contest is usually held at the March meeting. Members create small displays and compete for the top three spots and bragging rights! We set up village displays at The Ronald McDonald House in Cincinnati and the Behringer-Crawford Museum in Kentucky each Christmas. For membership forms, questions, or even if you are looking for older pieces, please contact the Club President, Joe Meyers at jwm4632157@aol.com. We do not, have not and will not sell or share any information collected as a result of your visit to our web site. This includes email address, mailing address or buying history. We reserve the right to contact you regarding an order placed and once completed will not contact you again unless you indicate you wish to receive future e-mails or mailings specific to certain collectible products. We might occasionally issue an email newsletter. We will send you this newsletter, unless you specifically request not to receive it. If you no longer wish to receive our email newsletter, contact us and request to be unsubscribed from the newsletter. We do not store or record any sensitive personal information including your address or credit card number on this web site. 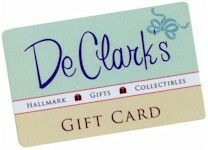 Make sure that special someone gets the gift they really want this Holiday Season with a DeClark's Gift Card! Available in any denomination, no service charges, reusable, it's the perfect gift for that hard-to-shop-for person. Please call us at (937) 294-4741 to order yours today! NOTE: No Shipping Charges Will Be Added To Gift Card Orders.